For this newest commercial vehicle, Ram looked once again to its Italian-based Fiat partners in developing a Class 1 van. The ProMaster City is the Americanized Fiat Doblo that has seen more than 1.3 million units sold overseas. 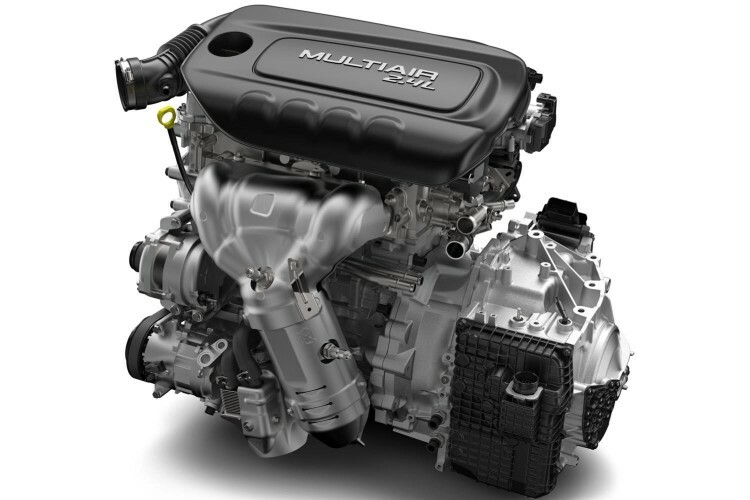 The Ram ProMaster City is powered by FCA’s Tigershark 2.4-liter I-4 engine that generates 178hp and 174 lb. ft. of torque in this application with an EPA fuel economy rating of 21 mpg city and 29 mpg highway. It is mated to a nine-speed automatic gearbox and features front-wheel drive architecture on MacPherson strut front and independent coil-spring bi-link heavy-duty rear suspension systems. 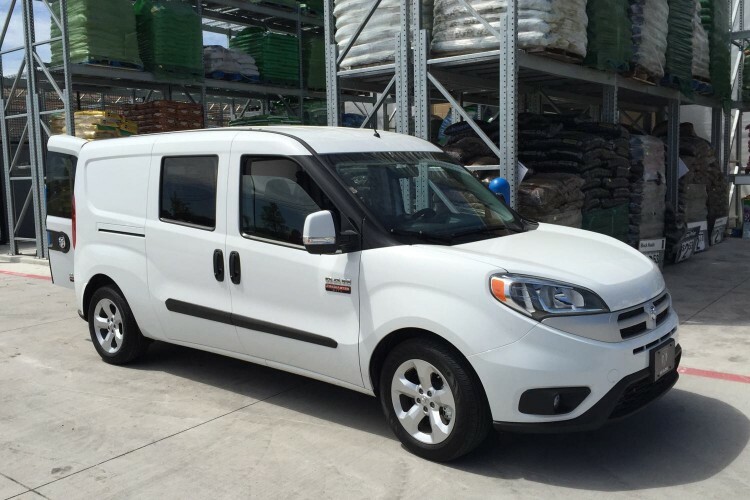 This Class 1 van rides on 16-inch steel wheels with all-season tires. Buyers can order the ProMaster City in two-seater Tradesman packaging or five-seater Wagon form as our recent tester arrived in. Base and SLT trim levels are offered in each configuration. Every ProMaster City features steel unibody design, rides on a 122.4-inch wheelbase and offers payload capacity of 1,883 pounds. The cargo area of the new Class 1 van features a 48.4-inch span between the rear wheel wells and the nearly vertical side panels increase that breadth to 60.4 inches. 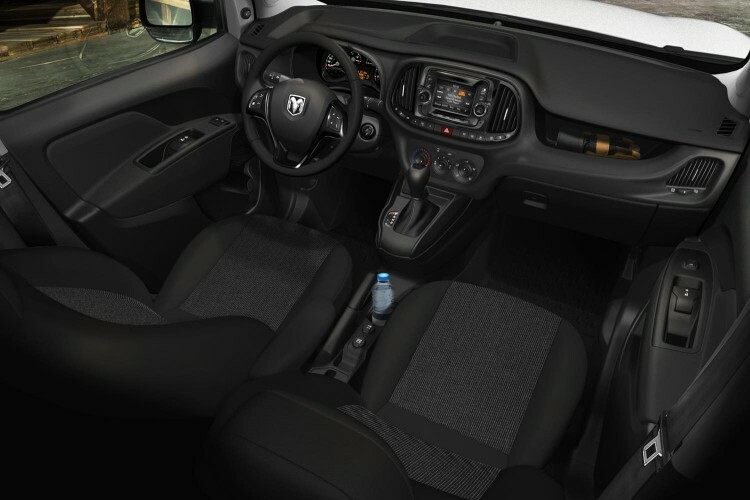 Interior roof height is 51.8 inches and the Ram ProMaster City offers a best-in-class cargo volume of 131.7 cubic feet. Each rear side of the van features a sliding door with a 26-inch opening to the cargo area or rear seat area depending on model configuration and it can be configured with load rails or roof racks. At the rear, ProMaster City features 60/40 split doors that open standard to 90 degrees or full 180 when pressing the release on the door latch. Wagon models feature a 60/40 split second row seat that can be folded and tumbled forward for expanded cargo room. 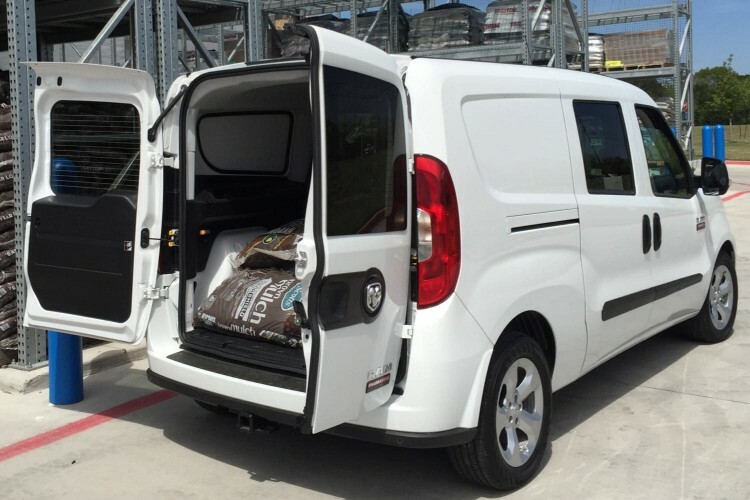 The 2015 Ram ProMaster City features all the latest safety technology including two-row side curtain airbags, electronic stability control, all speed traction control, trailer sway damping, hill start assist and electronic roll mitigation. The Class 1 van also offers remote keyless entry, 5.0-inch touchscreen display, integrated voice command with Bluetooth connectivity, Uconnect 5.0 infotainment and driver assistance technology, power front windows, tilt/telescoping leather wrapped steering wheel with audio controls and media input hub. During my week in the ProMaster City tester I found that folks were not afraid to tell me how they felt about the looks of the new van and I did not find a single one willing to say how much they liked the styling and design. None actually said they hated its looks, they just found creative ways to express the fact that the new Ram commercial van was not their cup of tea (or glass of vino). While I was on the fence on styling and design, I found the little commercial van to quite pleasant behind the wheel and the powertrain was eager to go. The Tigershark engine and all nine of those transmission gears made for a very sprite driving experience and while this vehicle is certainly not meant for the autocross course it did provide good handling and great maneuverability. 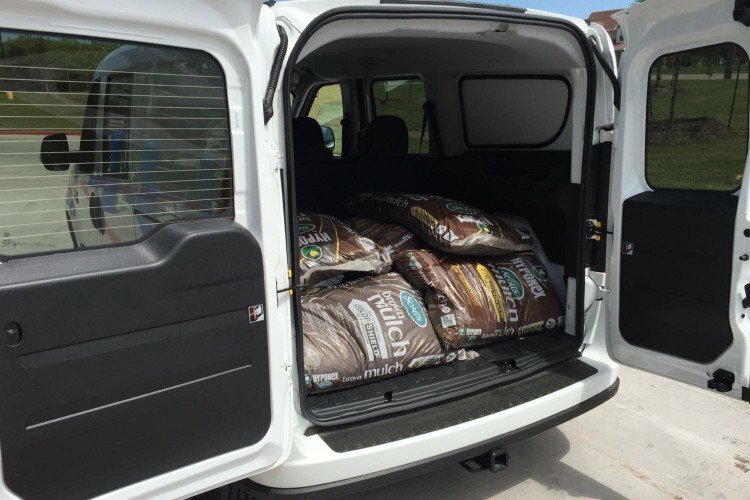 We loaded to cargo space up with numerous bags of mulch and garden soil and the ProMaster City did not complain even the least, and the flexibility of the rear load doors was a smart idea. 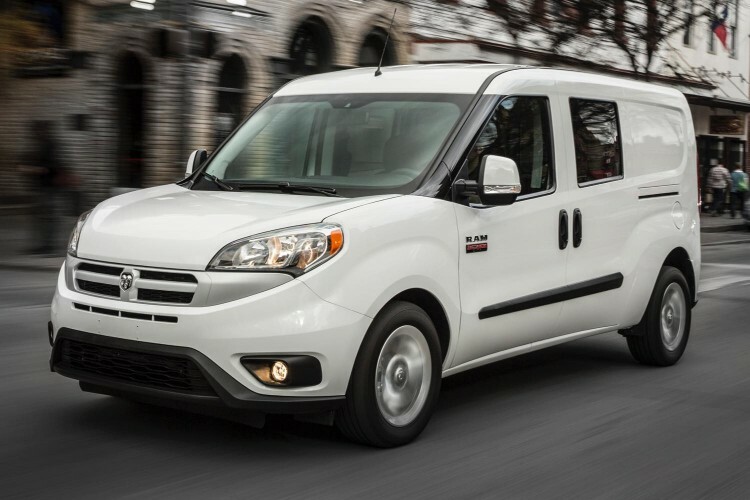 The 2015 Ram ProMaster City features a base MSRP of $23,130. Our SLT Wagon model begins at $25,655 and arrived with a final sticker of $27,890 with the addition of second-row power windows, heated front seats and rear back-up camera package with ParkSense rear park assist and ParkView camera. After spending a week behind the wheel of the newest commercial van in the Ram ProMaster lineup I would certainly recommend the City Class 1 van to anyone needing a vehicle that offers great urban driving habits and is upfitter friendly to meet the unique demands of the global commercial world.